The principle behind air conditioning is simple. Two coils (one inside your home, the other outside) are connected by refrigerant filled pipes. This fluid easily absorbs and rejects heat, and is pumped through this circuit of pipes by a compressor. Two fans pass air over these coils. During the cooling cycle, warmed refrigerant circulates through the outside coil where it releases heat and cools down. It moves back inside, and is circulated through the indoor coil. For reverse cycle, the system ‘reverses’ the operation of the air conditioner – instead of expelling the hot air and circulating cool air it does the reverse . Best Location for the Outdoor Unit? To ensure optimum performance, the outdoor section of split systems should have adequate ventilation and, if possible, be placed in a shady ventilated area. Direct sunshine and restriction of air access will reduce the air conditioner’s performance. Adequate clearance from obstructions is essential to ensure that exhaust air is not recirculated back through the outdoor coil. The outdoor unit must have at least 800mm in front of it free area to ventilate efficiently, the larger the area the better. We would also suggest 75 to 100mm between the back of the unit and the wall. Generally the best temperature to set your air conditioning to is around 23 – 25°C in summer and 19 – 21°C in winter. You can save considerably on the amount of energy consumed for each 1°C of cooling or heating that you do without. For example when it’s 35° outside, setting your air conditioner to around 25, rather than say, 20, can save a significant amount of energy without your system continually turning off and on. Run the Inverter system constantly, vary the fan speeds and temperature,don’t turn the system on and off. Balance between comfort and efficiency of the system. Switch to dehumidify mode early in the evening to prevent that cool air breeze but to stop the humidity from building up again. Air conditioning maintenance is always based on individual use, but in general you should check filters once a fortnight and replace the batteries in your remote control (where applicable) once a year. We would recommend changing batteries at the commencement of daylight savings at the same time as your smoke detector. At the same time check the outdoor unit is clear of leaves, shrubs or dirt build up. To clean, simply brush or hose the outdoor coil. Please read the filter section below for more information. Get your system serviced by a Daikin trained tecnician annually, usually before it gets hot. Each of our technicians carry a Daikin analyer which tells us the performance history of your system, we can also monitor pressures and temperatures to ensure the system is working within its performance limits. Also we test and flush the drain. The fan coil is treated to stop dirt and grime build up, ensuring maximum air flow over the fan coil and maintaining maximum efficiency of your air conditioner. This service also includes us cleaning and checking the indoor filters and treating the fan coil with a product called Mizo Foam which, cleans, kills germs and bacteria, deodorises, helps save energy and is environmental friendly. Should you wish to learn more about Mizo Foam please watch the attached link: Cleaning your Air Conditioner using Mizu Foam. We also treat the outdoor unit with a product called Laontech which helps to slow down the corrosive issues we find here on the coast. The primary purpose of filters is to protect the indoor coil from dust build up which could reduce the overall performance of the air conditioner. It is important to regularly check and clean your filter. The majority of service calls are due to a dirty or blocked filter and in most cases a service fee is charged even if the air conditioner is under warranty. Most air conditioners in the split range now have a specially treated additional filter that traps fine pollens etc which greatly helps people suffering from allergies. Daikin air conditioners have the seal of approval from the National Asthma Council of Australia. Remember whenever your air conditioner is on, be it heating, cooling, fan only, or on the dehumidify setting, it is always cleaning, deodorising and even disinfecting the air that you breathe. Ducted systems can now have electrostatic air filters fitted, which is the ultimate in home or office filtration. Air conditioning maintenance is just one simple fortnightly operation. Because the air filter in any air conditioner screens out dust and pollen particles, it should be removed regularly and washed. This simple operation is covered in the individual unit’s instruction manual. Bad odours in your air conditioners are caused by bacteria colonies forming a biofilm over your coils and fan blades. The only way to stop the smell is to have a very thorough cleaning of your air conditioning system. The Multi Colour Monitor Lamp on the Zena indoor unit can be turned off or lowered in brightness via the wireless remote controller. There is a dedicated brightness button on the controller that when pressed cycles between High, Low and Off. A specific relative humidity (RH) percentage value cannot be set using your specified unit’s controller. The unit will automatically target a humidity level between 40-50% RH (this excludes the MOISTURISING setting). To control multiple Daikin split systems in your home separately from the one device, we recommend using a Daikin wired central controller. This is a centralised control panel that fixes to a wall and allows you to operate each of your systems from the controller. Please speak to your Daikin Specialist Dealer for more information and the necessary adaptor cards required for compatibility with your systems. Every home is different, and choosing the right air conditioner will depend on many factors that a Daikin Specialist Dealer assesses during an on-site consultation. Apart from the difference in features, capacity range and the appropriate location of the installation, in principle heating works better with a floor standing unit. This is because the air is thrown out closer to floor level, reducing cold spots at your feet. In the case of our Nexura range, the inclusion of a radiant panel further enhances its heating comfort, providing heating that is similar to a traditional warm radiator. Can the D-mobile phone app control more than one indoor unit? The Daikin Mobile Controller (D-mobile) application for Smartphone lets you use your Smartphone or tablet to operate your Daikin wall-mounted air conditioning unit via Wi-Fi or the internet, and can control up to five indoor units at once. This is provided that the indoor units are compatible with the D-mobile app and each has a WLAN adaptor (BRP072A42) installed. D-Mobile caters to controlling multiple units by featuring the ability to group indoor units for easier management and unified ON/OFF control. The noise levels produced by an air conditioner are often described by manufacturers using what is known as “Sound Pressure Levels” and “Sound Power Levels”. The Sound Power Level is a measure of the acoustic energy emitted from a source of noise, expressed in decibels. The Sound Pressure Level is the pressure disturbance in the atmosphere measured using predefined conditions such as the location of the equipment, the environmental conditions, and the distance of the measurement from the measurement point. Sound Pressure is ultimately what our ears hear. Due to the difference in these measurements, if you are using these to help you decide on your preferred air conditioning solution, it is important to make sure you are comparing the same measurement for an accurate comparison of these factors. A split system can be removed and reinstalled in a new home. Daikin’s 5-Year Warranty, however, does not cover systems that have been reinstalled at a location other than the original location. If you are going to remove and reinstall your split system at a new location it is essential that a qualified technician undertake the installation in accordance with the air conditioner’s installation manual. This will best ensure the proper functioning of the system. The 5-Year parts and labour warranty does not cover faults caused by the product being installed incorrectly or not in accordance with the product installation manual. This is why it is important to use a Daikin Specialist Dealer in installing your Daikin air conditioner, as they will ensure your system is installed as required by your warranty. The warranty also does not cover the use of consumable items, such as batteries, or general maintenance, such as filter cleaning. All Daikin outdoor unit coils have been treated with an anti-corrosion treatment known as Blue Fin, which derives its name from the fact that the coating causes the heat exchanger to give off a blue colour. This special anti-corrosion coating ensures greater resistance to salt damage and atmospheric corrosion caused by such elements as sea spray and rain. Along with this, proper maintenance and positioning of your air conditioner is essential for combating these issues, as detailed in your system’s installation manual. Each indoor unit type is designed with specific features that target the particularities of different spaces and environments. Wall Mounted – these units have a wide capacity range, and are suitable for larger rooms. Floor Standing – compact in size, these units are ideal for placement under a window sill or semi-recessed into an unused fireplace. They provide superior heating comfort. Bulkhead – these low-height units are ideal for installation into drop ceilings, where installation of a standard air conditioner is not possible due to a lack of wall space. Ceiling Mounted Ducted – with a wide capacity range, these units are best suited to heating and cooling larger homes and open plan work areas. Cassette – the four-way airflow of a cassette system delivers even temperatures across any open plan area. Ceiling Suspended – suitable for installations where wall, floor and internal ceiling space is limited. A single phase air conditioner uses a single phase power supply, with single phase being the standard method of distribution of electric power in lighting and heating. Three phase air conditioners require a three phase power supply and are generally used for models with larger heating/cooling capacity. Three phase electric power is a common method of alternating current electric power generation, transmission, and distribution. It is the most common method used by electrical grids worldwide to transfer power and is used to power large motors and other heavy loads. Choosing your air conditioner according to the requirements of a room or space rather than simply the power supply available is essential, and a Daikin Specialist Dealer will provide such guidance through an on-site consultation when you are selecting your Daikin system. Flexible duct insulation is just as important as the performance of the air conditioning unit itself. It is designed specifically for flexible ducting systems and will ensure you keep your energy costs down and your air conditioning system running at its peak. Ducts that are poorly sealed or insulated will result in heat loss from your branching network of ducts. This decreases the cooling/heating efficiency of your home, which in turn contributes to higher energy bills. Zone Control, available on all ducted systems, allows you to group specified rooms within a particular “zone”. This allows you to target within an established zone the specific rooms you want to heat or cool with your ducted system, rather than running your entire ducted system in the entire home or business. Zoning can help maximise energy efficiency and comfort by specifically targeting heating and cooling. For example, you may want to assign bedrooms to Zone One and the living areas to Zone Two etc., to thus enable these specific areas to be cooled or heated individually when needed. When a zone is selected, cooling and heating will not be distributed to rooms outside the zone. The position of the discharge grilles featured in a ducted system can also be tailored to suit the shape of each room within a zone, for optimum air circulation. For Zone Control functionality your Daikin heat pump must be fitted with a Daikin Zone Controller and associated zone control dampers. The Zone Control is featured on the NAV EASE Standard Controller and Zone Controller. Both are ceiling mounted systems, but fundamentally a bulkhead system is designed to provide air conditioning to a single room whereas a ducted system provides air conditioning to multiple rooms throughout a home or business. A Daikin ducted system (such as the Premium Inverter, Standard Inverter and Slim-line series) is designed to provide flexible duct-distributed air conditioning in multiple rooms, with the indoor unit being installed in a ceiling space. In comparison, a Daikin bulkhead system (such as the Inverter Bulkhead) is designed for single room air conditioning with a minimal duct run and is best suited for installation in drop ceilings. Zoning is achieved by having motor-controlled “dampers” (a valve or plate that stops or regulates the flow of air inside a duct) situated within the ducts in your ceiling space. Control of zones is accessed by using a third-party switch or via our range of Daikin Zone Controllers (i.e. featured on the NAV EASE Standard Controller and Zone Controller) that allows you to turn zones ON and OFF at will. Having your Daikin air conditioner checked each year by a qualified service technician, like your Daikin Specialist Dealer, before the most extreme conditions of summer or winter set in is ideal for making sure your system will perform at its best. Aside from this, remembering to keep the air filter clean and the outdoor unit free of leaves and debris are essential for ensuring your Daikin system operates at full capacity throughout the peak seasons. The procedure to remove the ‘fascia’ (i.e. front panel) and access the filters of your indoor unit is found in the operation manual that comes with your Daikin air conditioner. In the case of a Titanium Apatite Photocatalytic Air Purification Filter, both vacuum away any dust and then soak the filter in lukewarm water for 10 to 15 minutes before allowing to dry outside in a shaded area. Cleaning your filters is the most important maintenance task you can do to care for your air conditioner. Blocked filters can reduce a system’s efficiency significantly. Replacing a blocked-up filter with a clean one can lower your air conditioner’s energy consumption by anywhere from 5% to 15%. For the Titanium Apatite Photocatalytic Air Purification Filter featured in many of Daikin’s air conditioners, cleaning it once every six months and replacing it once every three years is recommended. At a minimum you need to clean and maintain your air conditioner’s air filters, as any build-up of dust or dirt will restrict airflow and reduce the energy efficiency and capacity of your system. Please contact your Daikin Specialist Dealer to give you a demonstration on how to properly take care of your air conditioner or for more information. Re-gassing an air conditioner will never be necessary if it is installed correctly. However, if the pipe connections are not ‘flared’ (a type of compression fitting) properly or tightened to the correct torque, or if the pipes themselves degrade over time for some unforeseen reason, then they may leak, which is the most common cause of needing to re-gas an air conditioner. Terms such as ‘stale gas’ or ‘expired gas’ are not something that occurs in air conditioning units. If there is a gas leak in your air conditioning system it should be inspected by a qualified air conditioning technician. Please speak to your Daikin Specialist Dealer for more information. On the day of installation, 3 workers arrived on time and after some hours the unit was installed. Both my wife and I were impressed by their professionalism, cleanliness and attention to detail they showed during installation. Since this time I have recommended T C Air & Electric to my mother, my mother-in-law and my daughter all have had units installed by Chris and all have been equally impressed with his workmanship and attention to detail. 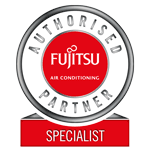 I recently had my air conditioning unit, previously fitted by your company 10 years ago, replaced under insurance. I would like to thank you for your help and assistance with this job and comment that everyone in the company from Ann in the office to Dallas and his crew, who fitted the new unit, were great, efficient and professional. The guys even cleaned up after themselves and all rubbish was removed. Great Service. Hi Chris, my husband and I wanted to let you know how impressed we were with your team when they installed our air conditioner. We found them efficient and friendly, hard working and were always on the go, keeping us informed of their progress regularly throughout the day. It is not often that you have a good experience with tradesmen these days, so we wanted to pass on our sincere thanks to you and all of the guys. We will definitely recommend you as often as we can. Thanks again.